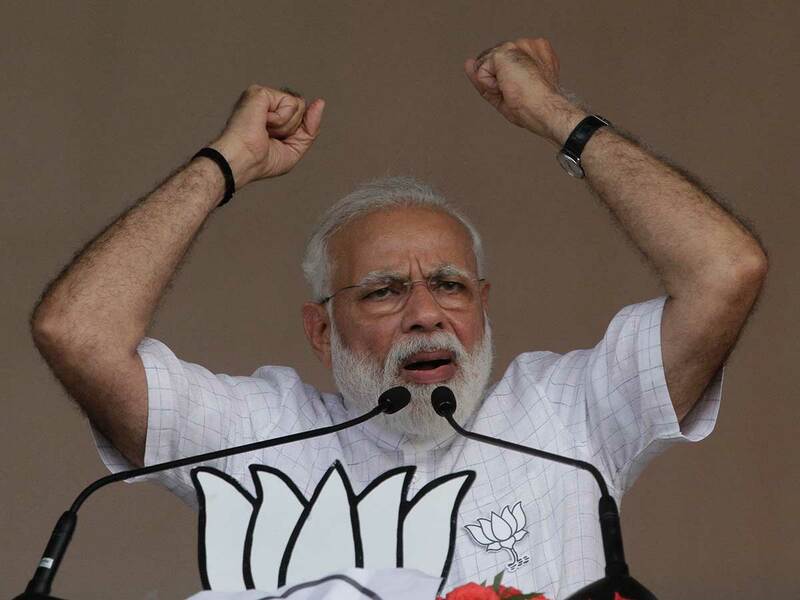 Amroha, Uttar Pradesh: Prime Minister Narendra Modi on Friday launched a scathing attack on the opposition for questioning the Indian Air Force’s Balakot air strike, saying whenever “Pakistan is unmasked”, its supporters in India take its side. “In the last five years, I did not let India bow it’s head in shame even once. It is very important for the country to have a strong government,” he said amid thunderous applause. “ Be it Congress, SP or BSP, they have put your life and future in danger,” Modi said pointing fingers at the opposition, and making a clear case ahead of the Lok Sabha elections as Uttar Pradesh goes to polls on April 11, in first of the seven phase polls. The prime minister thundered that some people do not like it when terrorists are given a reply in their own language. “Attacks have stopped in the past five years because you have elected a well-intentioned Chowkidar at the Centre. Now the terrorists know if they commit a mistake, Modi will even go to hell to find and punish them,” he said. “Modi does not do vote bank politics in the name of terror that is why its perpetrators are locked in jails today. If the country has to move ahead then we all have to be together,” he said.